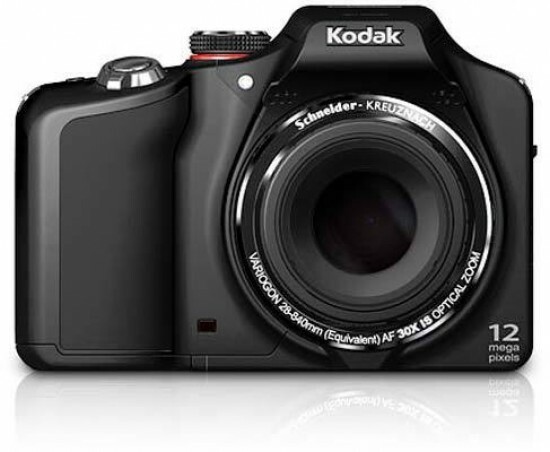 It's easy to say that the Z990 is arguably one of the best digital compact cameras that Kodak have released. The picture quality is excellent, we were extremely impressed with the tonal rendition and accuracy of colours. The new sensor seems to be doing its job by reducing noise very well at the low to mid-range ISO settings. It's great to see that Kodak are getting into the back illuminated sensor market simply because it means a better quality image for the consumer. The build quality is very good although there are notable flaws such as the plastic tripod bush and unresponsive buttons. One of the biggest issues with the Z990 is the buttons and switches being so unresponsive. If you want to shoot in a hurry, forget it. Choose a different camera. At times it took us up to a minute to turn the Z990 on, we had trouble zooming in and out as the camera seemed to ignore the commands entirely and entering the menu at the top of the screen could be a nightmare. The weird thing was that sometimes the Z990 would execute commands straight away and other times it seemed to take an age. At one point when we were shooting a football match, we missed a lot of opportunities because the Z990 wouldn't zoom in or allow us to choose a different ISO setting. Another key issue regarding speed is the processor. Pictures take a long time to download onto the card from the sensor and don't expect the camera to allow you to do anything. It completely locks up. It would have been nice of it to allow us to make adjustments to the settings or something but we just got a half black, half blue image that simply said processing. It's extremely infuriating but if you're not in a rush, then you won't be bothered by this. There's lots of features packed into the Z990 and the long zoom just adds to it. The image stabiliser seems to work well and the range is enough to contend with the latest 30x optical megazoom cameras. For the price, you get a lot of camera. It would be nice to see past innovations such as the vertical grip, but it's not detrimental to the camera. The Z990 certainly has enough going on it to keep a photographer interested. This camera would suit a keen photographer who likes to enjoy nature without the tediousness of having to walk everywhere, especially one who isn't in a rush to get the job done. If that's you, I think you'll really like the Kodak EasyShare Z990.